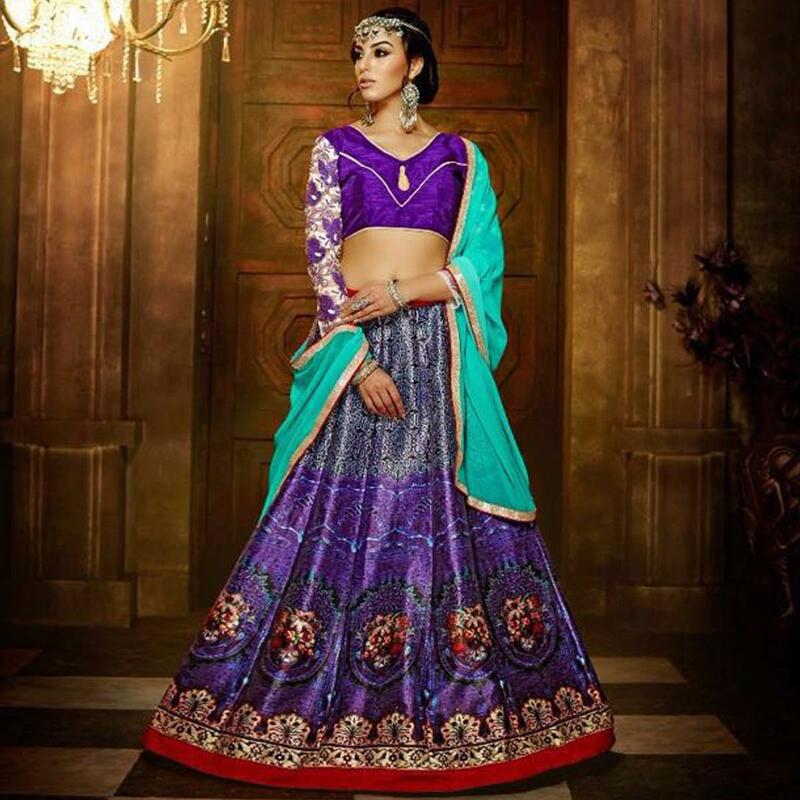 Be the centre of attraction wherever you go adorning this purple - sea green designer lehenga. 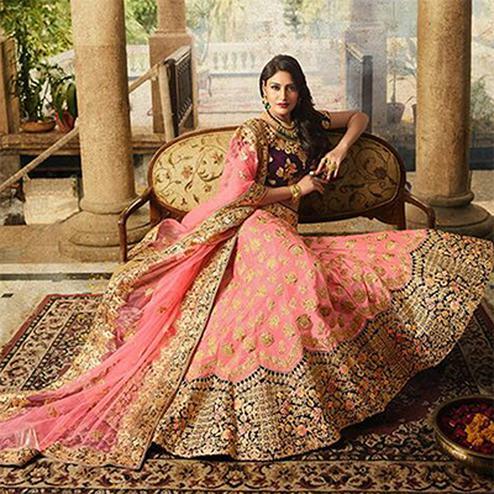 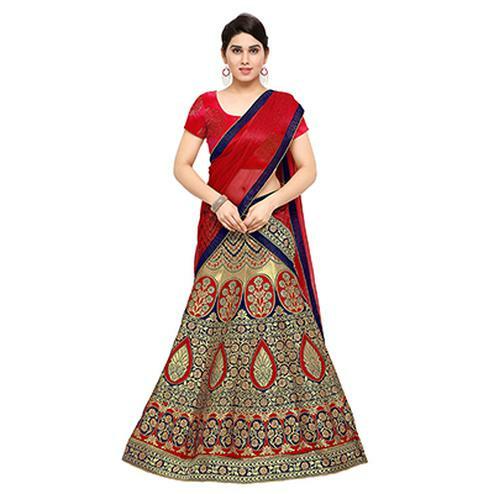 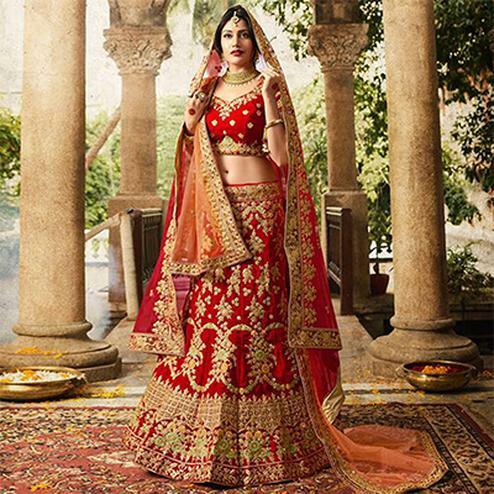 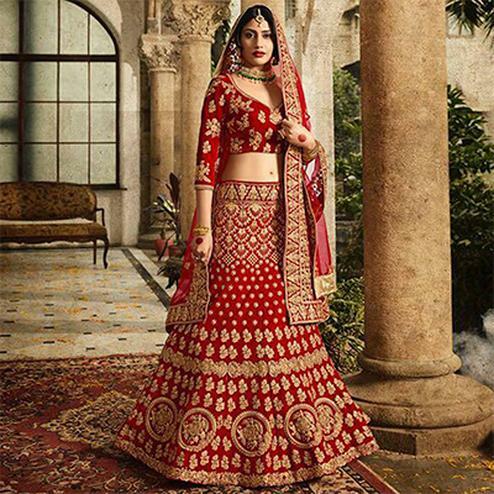 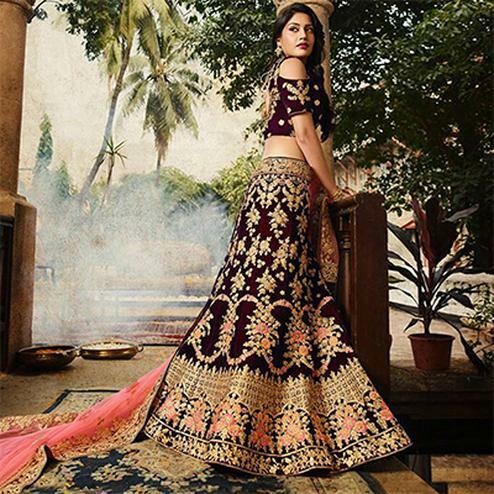 The amazing digital print work done over the raw silk lehenga finished with red lace border & floral embroidered sleeves choli, makes this attire your ideal choice. 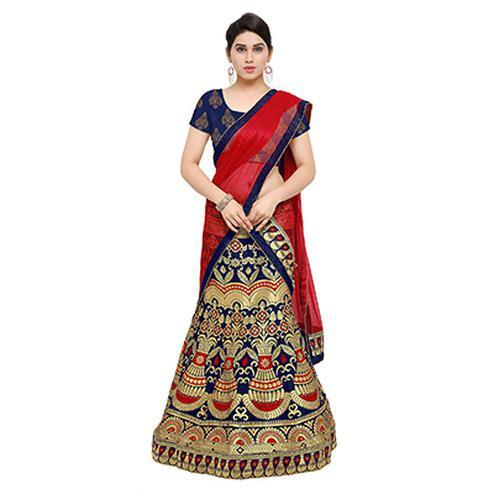 This outfit is a right choice for your upcoming weddings & functions. 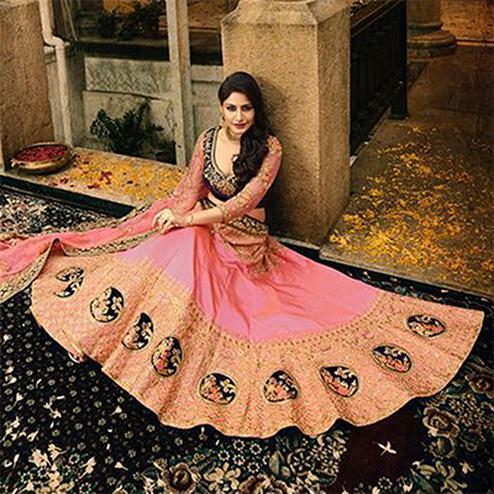 It comes along with a georgette dupatta.